Latest 5 Best Albums ! 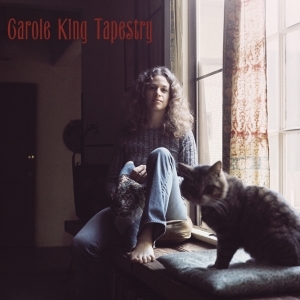 Tapestry is a ground-breaking pop album by singer-songwriter Carole King, released in 1971. It features King's well-crafted, heartfelt songs sung in her honest, personal voice with minimal production by Lou Adler. It has earned a spot as one of the quintessential recordings of the rock era. Tapestry was ranked US number 1 for 15 weeks and remained on the charts for over six years. The album also garnered four Grammy Awards including Album of the Year, Best Pop Vocal Performance, Female, Record of the Year ("It's Too Late"); and Song of the Year ("You've Got a Friend"). King wrote or co-wrote all of the songs on the album, several of which had already been hits for other artists such as Aretha Franklin's "(You Make Me Feel Like) A Natural Woman" and The Shirelles' "Will You Love Me Tomorrow". Three songs were co-written with King's ex-husband Gerry Goffin. James Taylor, who encouraged King to sing her own songs, and who also played on Tapestry, would have a #1 hit with "You've Got a Friend." In 2003, the album was ranked number 36 on Rolling Stone magazine's list of the 500 greatest albums of all time. In 2001, the VH1 TV network named Tapestry the 39th greatest album ever. In 2003, it was one of 50 recordings chosen by the Library of Congress to be added to the National Recording Registry. Various artists combined to re-record all the original tracks for more than one tribute album; the first, released in 1995, entitled Tapestry Revisited: A Tribute to Carole King, and the second, released in 2003, entitled A New Tapestry — Carole King Tribute. All songs by Carole King except where noted.